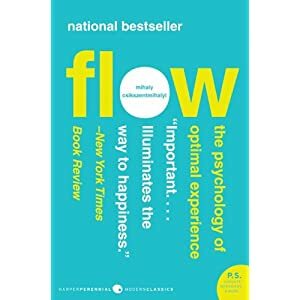 I've finally just got around to reading FLOW: The Psychology of Optimal Experience by Mihaly Csikszentmihalyi (pronounced cheek-sent-me-high (thanks Mary)). It looks like I'll have to read it fast as it features very relevant points of connection to my research. More on this I'm sure in a later post.